Want to know how to make money from home? “Earning money from home is my dream, but I don’t know what I can do, I want to learn, but I am confused about which way to go.” This is the most common dilemma for any work from home job seeker or someone who wants to make money online. There are so many services or skills that businesses want, but there are many people who don’t have any idea how to earn money online. The reason is, there is a vast gap between the demand and the supply. In less technical terms, there is a void which needs to be filled by connecting the dots of skills that you possess and money-making gigs that are available. It’s not so hard to find a reliable and legitimate way to earn money if you know where to look with kind of skills you have. You will be surprised with your abilities once you focus on yourself. Before we get into all the work from home options, I want to focus on these questions. It is easier to find something if you are clear about your goals and what you want to achieve. Is it flexibility that you want or the need to generate a good income from home? If you want to be flexible, then I suggest you choose the jobs or gigs that might not give you high income but let you choose your own times to work. If you are good at something, then surely there is a way to monetize it, and believe me, everyone is good at something. Take some time to focus and find out your calling. Are you ready to invest in yourself to get trained? If you are tight on the budget and not ready to upgrade or learn new skills, then you will have to settle on low-income options. Learning new skills can make a big difference in your work from home career path. I have categorized different ways to make money from home into extra income gigs and good income jobs. I hope this helps you to find something soon. Though survey sites get a bad vibe, I have myself earned a good side income from them. I never recommend that you do surveys alone and expect a full-time income. They are just side earners but come in handy if you find the right ones. There are apps that let you earn some spare cash just to download and run them in the background. Nielsen App – Want to earn some passive income? Just download Nielsen app and this trusted company will pay you $50 a year to keep the app. This research company collects data on user web usage to improve the internet usage. Don’t worry your data is never shared and remains anonymous. Sign up and start making money from home. Swagbucks – Most trusted survey site that gives you a chance to do a lot more things than just surveys. Watching videos alone can give around $90 a month. The $5 sign up bonus is an added perk! Survey Junkie – This is a legit survey site with low disqualification rate. The surveys are short and pay well. You can redeem the points for cash or gift cards. Approx Earnings – $130/month (depending on your demographics), Nielsen app pays $50 a year if you keep it running. These are small tasks like typing, data tagging, transcription (short files), etc. You can become an Amazon Mechanical Turker or work for companies like Clickworker and start doing these tasks. Remember some of these tasks are first come first serve basis, so be quick in doing these. Approx Earnings – $50 – $100/month depending on the tasks you take up. As a rater, you will be going through the search engine results or social media feeds to rate them according to some guidelines. This helps search engines to make their algorithm better and give relevant results to the users. For most of these roles, there will be an assessment test which you need to pass to get hired. No prior experience or expertise is required but you need to be staying in the country to apply. Leapforce – This company has a lot of positions available in many countries. But keep in mind that the test is quite hard, so you need a lot of preparation. Lionbridge – This well-known company hires raters from all over the world. They have openings in various countries from time to time. You need to keep an eye on their recruitment page to apply. Approx Earnings – For the US, it is around $12 to $15 per hour. The pay is different for different countries. Sometimes we oversee some money-making opportunities. There are so many ways to make use of the stuff which you don’t use. For example, if you don’t use your car much, you can rent it on GetAround to earn passive income from it. Just list your car on the website easily through the app, write a good description and all the renting is done through app. You can be stress free with their $1 million insurance cover and 24/7 roadside assistance. Sign up if you want to make money from home the most passive way. If you have a spare room, then go ahead and start listing it on Airbnb and earn a decent income from it. Take good pictures, write a great description, include all the amenities and reply to questions promptly. That’s it. More interested in selling? Then you can go over to Decluttr and sell all your electronic stuff. You can also go over to marketplaces like eBay and Craigslist to sell your things. Approx Earnings – Depends on the marketplace and items you are selling/renting. These gigs require you to go out of the house or travel a bit around but pay well when compared to at-home ones. Postmates – You will be working as a food courier for this company. You need to have a bike or a scooter or a car, and there will be a background check after you apply. On average you can earn around $25 per hour with Postmates. UberEats – Another trusted company that helps you earn money from home with food delivery. Unlike Postmates, UberEats is available in many cities in the US. You need a scooter or a car or a bike to deliver food. Approx Earnings – Postmates pays an average of $25 per hour. HealthyWage – I would have never believed it if someone said you could earn money by staying active. No way! But you can. With HealthyWage, you are rewarded for reaching your weight loss targets. It’s a great way to push yourself to stay active and reach your fitness goals. Sweatcoin – This sweet app lets you earn ‘sweatcoins’ when you walk or run (there is a limit of 5 sweatcoins a day). You can redeem these sweatcoins for Amazon gift cards or discounted merchandise. If you have a big pool of coins, you can redeem them for cash. You just need to download the app and keep it running. Approx Earnings – With Healthywage, I have seen people win $10,000 to meet their weight loss goals. 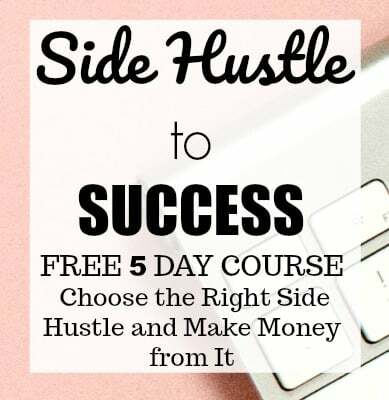 You can do these jobs or hustles from home, and the biggest perk is that they can give you a full-time income or develop into a successful business. Virtual Assistant – For the last decade, Virtual assisting has become increasingly popular. There is an infinite number of services you can provide as a Virtual Assistant. The average income you can earn as a VA is around $35-$50 per hour. Tutoring – If you love teaching, then there is nothing great than online tutoring. There are many companies like Cambly, Tutor.com teaching specified subjects. But it does not have to be only specific subjects; you can teach plain English to kids. With VIPKID and Qkids, you can teach conversational English to Chinese kids. Both these companies need minimum qualifications, and after applying online, there will be a video interview. The pay is around $14 to $24 per hour with these companies. Blogging– If your passion is to share your ideas, views, and research about your niche, then there is nothing better than Blogging. I am a blogger and can say for sure it’s the most rewarding hustle I ever had. Knowing your niche and signing up for good hosting are the first steps in starting a blogging journey. Sign up here and get started. Though there is a bit of traveling involved, these options to make money are great. Flower parties – How about arranging beautiful flower parties and getting paid for it? Sounds dreamy! You can channel your inner creative juices with this unique hustle from Alice’s Table. As an ‘Event Exec’ you will be arranging artistic flower parties and making money from them. Here is how you can get started. Amazon FBA – Love finding cheap items? Then start selling things on Amazon FBA. The best part about this is, you need to find items and send them to Amazon, the rest is taken care of by Amazon FBA. 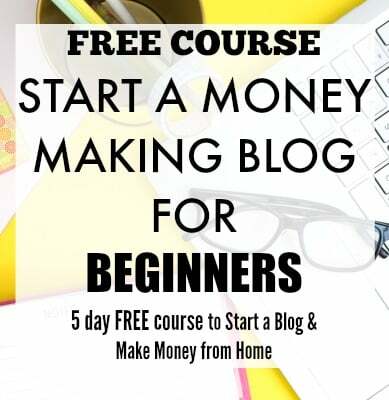 If this interests you, then you need to take this free email course to know more about this way to make money from home. Flipping – I think Flipping thrift store items is the most underrated way to make money from home. If you got the eye to find unique items in junkyards and flip them for profit, then you can become a pro flipper. Do your research. No matter what your choice is, you need to do thorough research and dig deep into every aspect of the gig you are going to choose. Knowing everything about your future gig can help you ease into the job and make the journey enjoyable. Keep a check on what local opportunities you have around you. It is far easier to find reliable ways to make money online in the places you stay. You can join your local groups or check out the forums in your area and see what others are experimenting with. Never forget that an online money-making option can come with scams. At every step you will be facing some scam, so be very vigilant about scams and never pay for anything. Like the old saying, if it’s too good to be true, it is a scam. But more than that, the biggest red flag to watch out for is ‘earning an insane amount of money in a very short time.’ No one earned anything like that ever. It takes a lot of time and an insane amount of research to find the most legit way to make money from home. But you will find one if you stay focused and know what you want. I made my ‘make money from home’ dream come true, so can you. I have done some.of the surveys. They offer great money in some of them but I don’t get paid. All you get out of them is a million of calls How do you get your money & stop the phone calls. All of these surveys ask for basic information and all of them don’t ask for your phone number. Signing up for legit surveys and doing the survey as soon as you get them is the key to making more money with surveys.